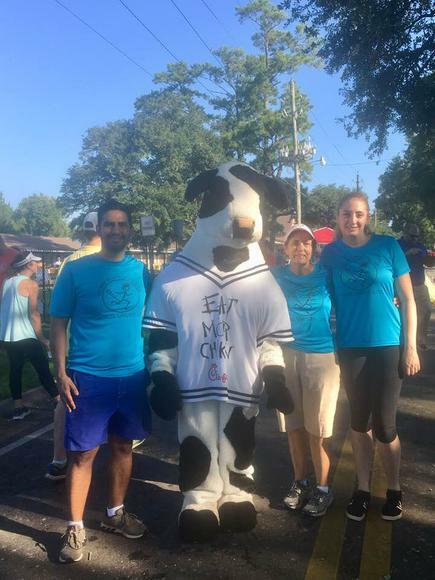 Dr. Hector Moreno from Ecuador with Chick Fil A cow, Race Director Flor Fellers and assistant Emily Pettit. 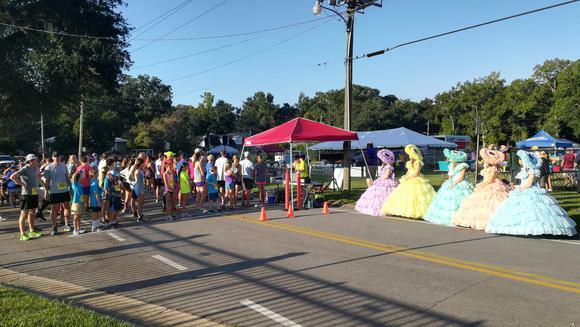 Jubilee Race for Life 5K & 1-Mile Fun Run * September 17, 2018. Dogwood Court Maidens have graced our race for eleven years. Thank you for your support in making our event beautiful. OUR GRATITUDE TO ALL THE SPONSORS, VOLUNTEERS AND PARTICIPANTS. YOU MADE THIS ANOTHER GREAT YEAR! Joy-filled and entertaining Dr. Trey is the master of ceremonies. 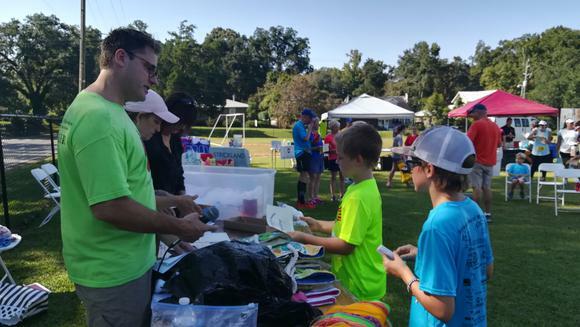 We appreciate all the behind-the-scenes and before-and-during-the-race involvement to make this a truly FUN event.